Voters in the Vadodara Lok Sabha seat of Gujarat are yet to make up their mind whether to endorse the BJP's views on 'nationalism' or support the Congress, which has promised to resolve local issues like lack of jobs and affordable education for children. This urban seat was in the spotlight in 2014 when Prime Minister Narendra Modi won it by defeating Congress veteran Madhusudan Mistry by a margin of over 5.7 lakh votes. However, when Modi chose to be an MP from Varanasi in Uttar Pradesh and resigned from Vadodara, BJP's Ranjanben Bhatt was given ticket for the bypoll and she won this seat. She has again been nominated by the BJP from Vadodara. In her campaign posters, Bhatt has urged people to vote for the nation's security and "to teach Pakistan a lesson". She has also appealed people to boost the morale of soldiers and uproot terrorism. On the other side, Congress candidate Prashant Patel says if elected, he will solve people's problems, including issues like unemployment and high education costs. While the BJP claims it is on the right track by invoking issues of national importance, the Congress dubs it an "eyewash" to hide the "failures" in dealing with core issues concerning the common man. Patel, who is the Congress' city unit president and is fighting his first major poll, said local issues are always important in an election. "People vote for you to get basic amenities, like better and affordable education. Though the BJP is ruling the municipal corporation for last 23 years, it did nothing. Now, raising the issue of nationalism is nothing but an eyewash to divert attention from its failures," he said. However, Vadodara BJP spokesperson Mukesh Dixit said, "This is not a local body election, but a parliamentary poll...the Congress needs to understand this. If we had faltered in addressing local issues, we might not have been winning the civic polls here since 1995." "The Lok Sabha polls are always fought on national issues. The Congress makes noise even if a gutter leaks in the city. They are doing this because they don't have anything else to say," he remarked. Before 2014, the seat earlier also garnered attention when actor Dipika Chikhalia, who played the role of Sita in popular TV serial "Ramayan", won it in 1991 on BJP's ticket. That was the first time when a saffron party candidate won from the Vadodara Lok Sabha seat. But, Congress' Satyajitsinh Gaekwad, hailing from a royal family here, won it in 1996 and remained an MP till the 1998 polls. BJP's Jayaben Thakkar then won from Vadodara for three consecutive terms from 1998 till 2009. 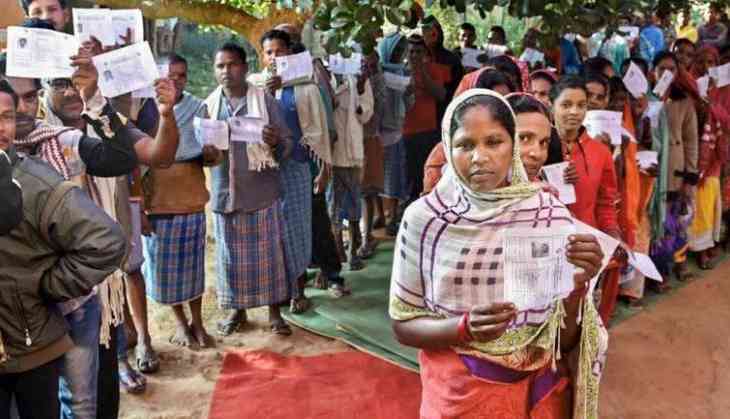 There are nearly 18 lakh voters in the constituency. Vadodara resident Ronak Shah, employed at a private firm here, said he supports the BJP when it comes to nationalism but is confused whom to vote for this time. "The BJP and Prime Minister Modi did a great job. But, we also want affordable education for our children," he said. Another city resident Jigar Prajapati claimed the election will be a cake walk for the BJP as urban voters tend to support it in Gujarat. However, a 27-year-old resident of the Muslim- dominated Tandalja area said the Congress was raising the right issues. All 26 Lok Sabha seats in Gujarat will go to polls on April 23 and the results will be declared on May 23.